The Autumn is the Chrysanthemums time to truly sparkle! 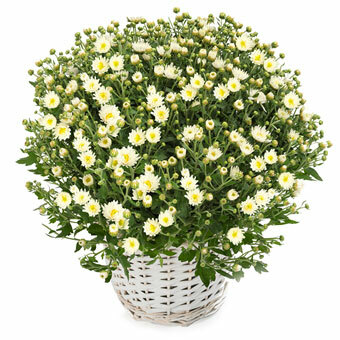 Our full-bodied, luscious white Chrysanthemums give off a real energy of vitality and serenity. They arrive at the doorstep directly from a local florist and are ready for the favorite spot at home!